"As a criminal profiler, Tara used science and her intuitive skill at Tarot card divination to track down the dangerous and depraved, including the serial killer who left her scarred from head to toe. Since that savage attack, Tara has been a recluse. But now an ancient secret society known as Delphi's Daughters has asked for her help in locating missing scientist Lowell Magnusson. And Tara, armed with her Tarot deck, her .38, and a stack of misgivings, agrees to try." 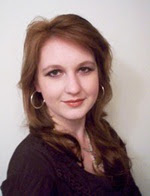 Dark Oracle is a mystery novel by new author Alayna Williams. When I received the book from Alayna, I was excited to dive into a story whose main character was a tarot reader, even if in the back of my mind, I expected the storyline to pale in comparison to the tarot bits I was looking forward to. I was delighted to find that the entire story captured my attention and held it. It kept me on my toes, turning pages, wanting to find out what happened next. I thoroughly enjoyed this book, start to finish. It contained action, mystery, mysticism, drama, romance and Tarot (as well as other divination methods). 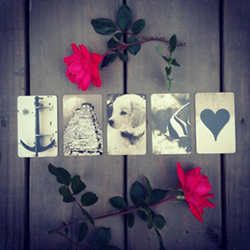 Tara was a criminal profiler, using her intuitive tarot skills to help her track suspects and solve cases. She abandoned her career after a near-fatal experience with a serial killer she tracked down. She is urged out of hiding by Delphi's Daughters, a secret society her mother was a member of. They request her help with the case of a missing scientist who has harnessed the power of dark energy, which in the wrong hands, could prove disastrous for humankind. Tara's unlikely partner is left-brained Agent Harry Li. Their attraction to one another develops throughout the story, hindered along the way by Tara's secret intuitive side which she keeps hidden from him, along with her self-consciousness from being physically and emotionally scarred. While Tara and Harry are on the trail of the missing scientist, they are being tracked themselves by a wayward and dangerous member of Delphi's Daughters and corrupt government officials who want Tara dead. As the story progresses, Tara pulls out her tarot deck every once in awhile to guide her in the next direction. We are privy to her readings, as she uses several spreads. Following are the spreads and readings you will find in the book. Each reading is detailed with the card drawn, the position it falls under, and the interpretations. Tara also frequently connects the cards to the cards drawn in previous readings throughout the book. 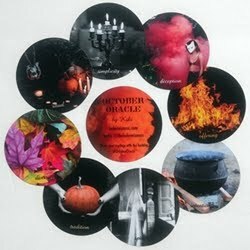 In addition to tarot cards, there are also other methods of divination used by the members of Delphi's Daughters including geomancy, runes, scrying and pyromancy. I loved this fascinating additional layer to the story. The experience Tara goes through, in hiding her tarot cards from Agent Li is something I think a great many tarot readers will relate to, as hiding this aspect of one's life from certain people is an unfortunate reality I believe many tarot readers have had to deal with at one time or another. I was interested in learning more about how tarot played a role in Williams' writing. She told me that she has been reading tarot since she was a teenager, though not professionally, reading mostly for herself and occasionally for friends. The deck she learned to read with was the Hanson-Roberts. 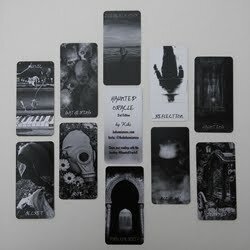 Although the deck featured in Dark Oracle is fictional, Alayna did use a variety of decks to help her with the storyline and character backgrounds, usually grabbing whichever deck was handy at the time. These included the Hanson-Roberts, Quantum Physics Tarot, Dragon Tarot, Thoth, Rider-Waite, and Mystic Dreamer (the latter being her current fave.). 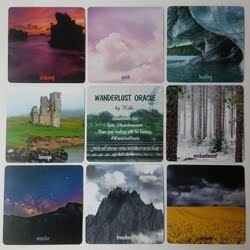 Says Williams, "Whenever I got stuck on plot or needed information on a character's motivations, I started drawing cards. It's really a fun way to write. 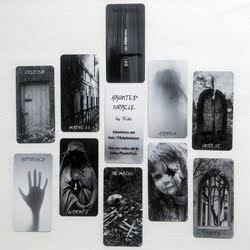 The Tarot makes great visual story prompts." When I finished the book, I wanted more. I wanted to know what was next for the characters. 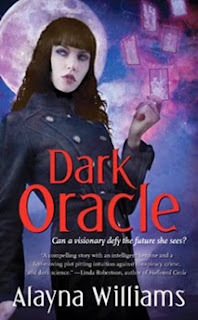 So I was very happy to hear Alayna's answer to my question of whether there would be sequels: "DARK ORACLE is intended to be the first in a series. The sequel, ROGUE ORACLE, is coming out in March 2011. In that story, Tara and Harry are pursuing a Chernobyl survivor who's selling nuclear secrets to the highest bidder. I wrote it the same way, with cards at hand." UPDATE: Read my review of the sequel, Rogue Oracle. Alayna Williams has an MA in sociology-criminology (research interests: fear of crime and victimology) and a BA in criminology. She has worked in and around criminal justice since 1997. Although she does read Tarot cards, she's never used them in criminal profiling or to locate lost scientists. She recently took up astronomy, but for the most part her primary role in studying constellations and dark matter is to follow her amateur astronomer-husband around central Ohio toting the telescope tripod and various lenses. Like the Pythia in Dark Oracle, she's been known to belly dance. Unlike the Pythia she'd never consider herself a professional. This book review was originally published on my previous blog (Tarot Dame) on 8/31/10.